Booths are 9 X 18 parking space for $30.00. Bring your own tables, chairs, canopy. no electricity. 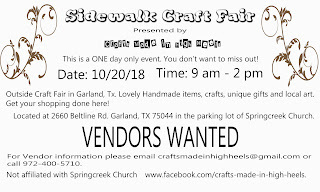 Looking for artisan vendors. Limited Company vendors. Applications are available here (find their rules and regulations here)and are due by October 14, 2018. 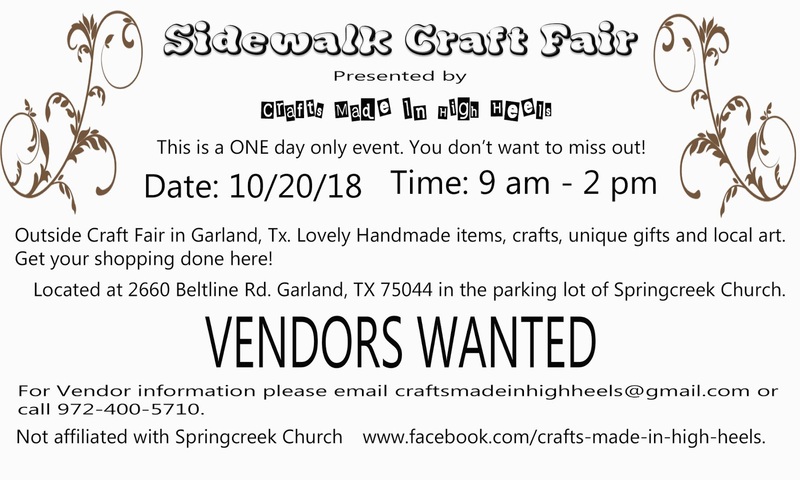 For more information, visit their website or contact their event coordinator at craftsmadeinhighheels@gmail.com.